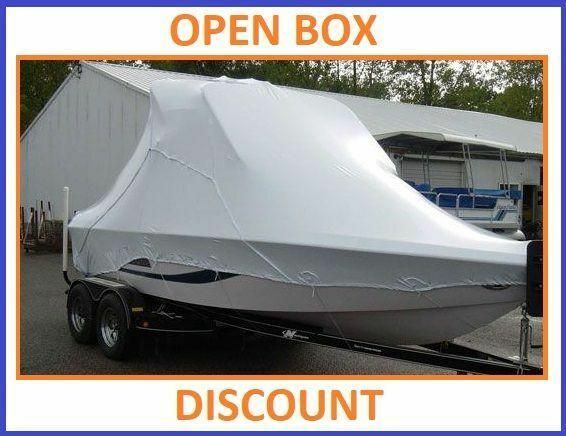 https://mrshrinkwrap.com/20-22-over-wake-tower-boat-cover-by-transhield-open-box.html?___store=default 5258 20'-22' Over Wake Tower Boat Cover by Transhield - OPEN BOX https://mrshrinkwrap.com/media/catalog/product/o/v/over-wake-tower_obox_2.jpg 139.5700 174.4600 USD InStock /Closeout Specials /Closeout Specials/Open Box Transhield Covers This 20'-22' Over Wake Tower Boat Cover by Transhield - OPEN BOX will keep your boat dry and clean! Providing structure for and shrinking your Transhield Cover greatly increases its effectiveness in shedding water and resisting wind damage. In the “Related Products” section below, you’ll see a link for Heat Gun Rental. Get a 25% discount on a Heat Gun Rental with your purchase of a Transhield Cover – simply check out with both the Transhield Cover and the Heat Gun Rental in your cart. Indoor Storage Shrinking is not necessary for use as a dust cover. Short Term Outdoor Storage Shrinking not essential, however, pooling of water and fierce winds are concerns. Observe your cover carefully, periodically. Long Term Outdoor Storage Shrinking is a strongly recommended. Though Transhield covers are much thicker than shrinkwrap alone, Transhield covers will also stretch over time from the weight of pooling water and wind. Be sure to have secured structure below your cover! Road Transportation Shrinking is a must. Secure structure under the cover is a must. Transportation applications carry with them the most risk because of the high air/wind speeds and debris associated with road travel. Pole Accessory Kits from Transhield come with poles, pole caps, and nylon strapping. Exert less effort making structure for your cover! 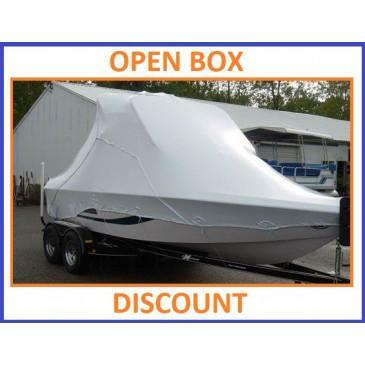 This 20'-22' Over Wake Tower Boat Cover by Transhield - OPEN BOX will keep your boat dry and clean!